Looking for the perfect place for that birthday party, family reunion or organization meeting? 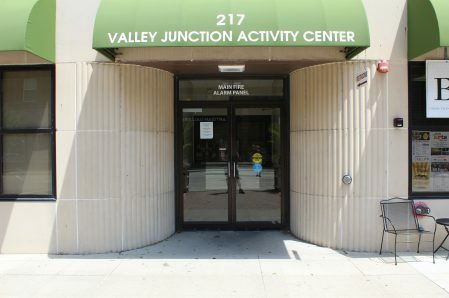 The Valley Junction Activity Center located in the heart of Valley Junction is just the place for you! Formerly called the WDM Community Center, the facility offers a wide variety of meeting room spaces, as well as two dining rooms, available for public rental. The Grand Ballroom located on the second floor of the building provides an excellent space for wedding receptions and large dinner gatherings for up to 200 people. For more information or to reserve a room call the Valley Junction Activity Center at (515) 222-3440. Rental fees vary per room and facilities are available to the public on a first come first serve basis.